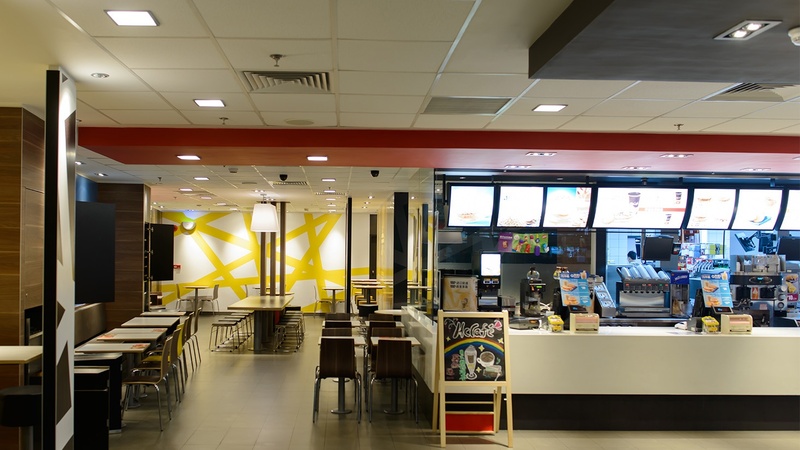 Quick serve restaurants typically have efficient, inexpensive general lighting. The fixtures are commonly overhead fluorescent lighting –– often 2’ x 4’ or 2’ x 2’ troffers –– that use either T8 or T12 tubes. We know that the pace of a quick serve restaurant needs to be just that — quick. If you’re spending more time than you’d like on finding replacement T12s, we’re here to help. The phase-out of T12s has made these bulbs increasingly rare. Check out this blog post to learn more about T12 replacement options. Download our Linear Lighting Playbook for tips and tricks on how to make the most of linear lighting for your restaurants. Fast casual restaurants tend to incorporate a variety of fixtures. Pendant lighting hangs from the ceiling and is positioned over bars, tables, or other focal points of the restaurant. 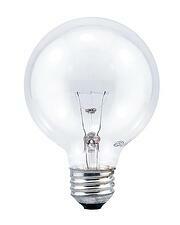 Pendants usually require a standard light bulb (A19 shape) with a standard screw-in base (E26, or “Edison” base). Wall sconces are also popular among fast casual restaurants. 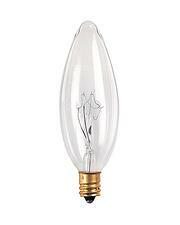 These fixtures provide accent lighting and are typically used to border artwork or mirrors. Wall sconces generally require a standard light bulb (A19), but it’s also common to see fixtures that use a torpedo shaped bulb (B10, B11). If you have a torpedo bulb, be sure to double check the base — If it's smaller than a standard light bulb, it's most likely a candelabra (E12) base. Fine dining restaurants cater to upscale clientele and provide a high quality, unique experience. Ambiance is the first step in achieving that certain je ne sais quoi. 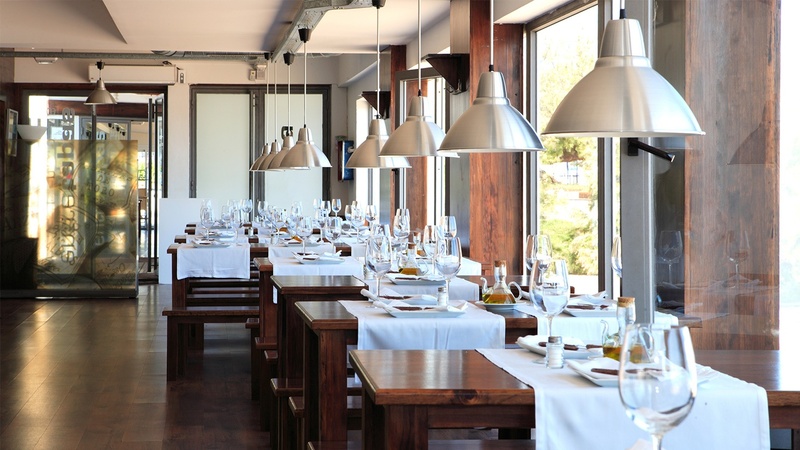 Most fine dining restaurants use an array of fixtures to create such ambiance. 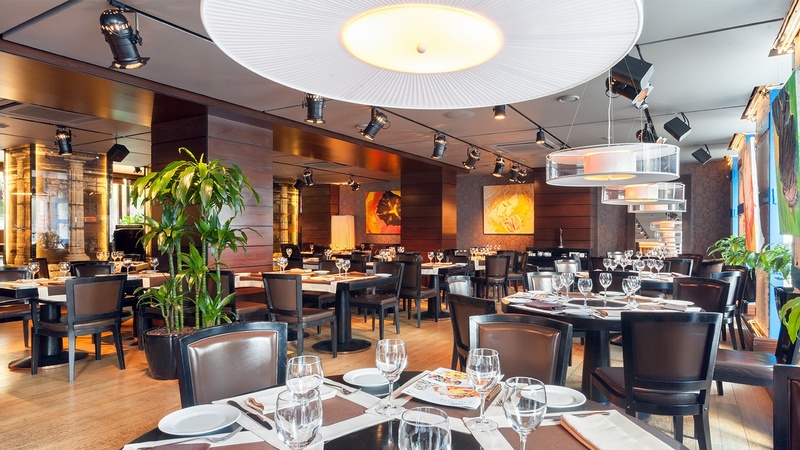 Accent lighting is used to add drama to a fine dining space. 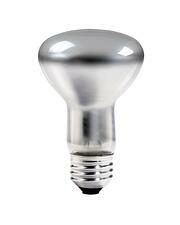 Focal points are created with accent fixtures and use reflector bulbs (MR16, PAR20, PAR30, etc.) to create a direct beam of light. Finally, pendant lights are used to provide task lighting — mainly for guests when reading menus. 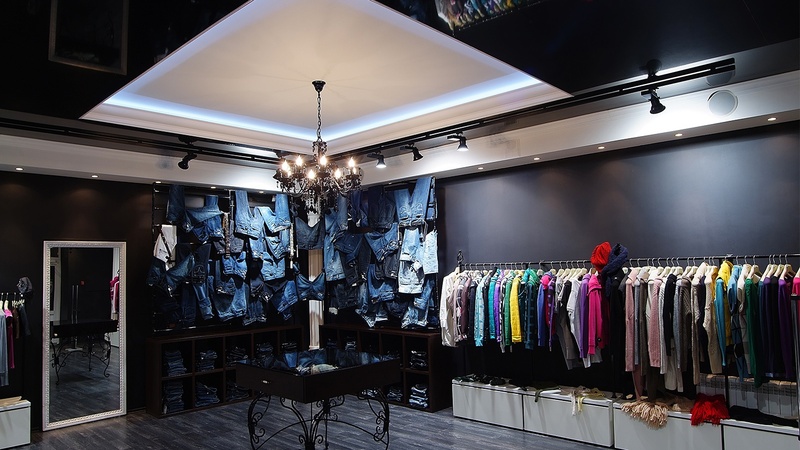 Pendant fixtures can use either a standard light bulb (A19 shape) or a round globe light bulb (G25 shape) with a standard screw-in base (E26, or “Edison” base). 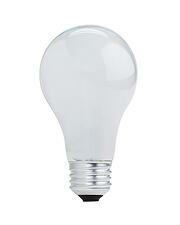 Some restaurants will also use a silver bowl A19 in pendants to reduce glare at the table. 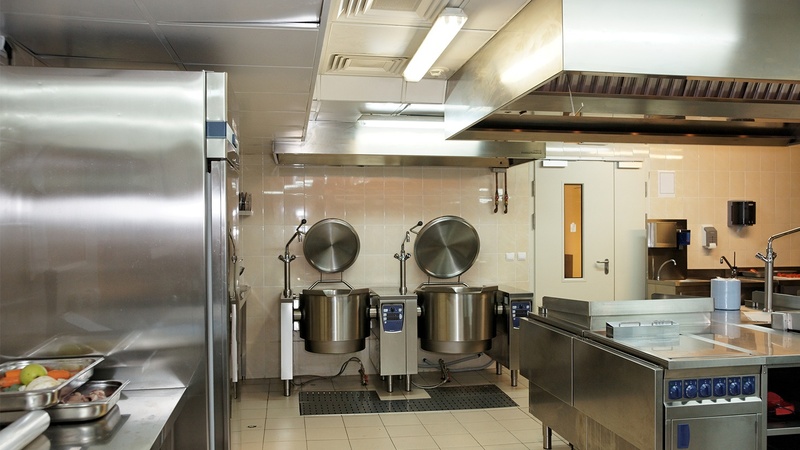 Most restaurant kitchens have overhead fluorescent lighting — often 2' x 4' or 2' x 2' troffers. 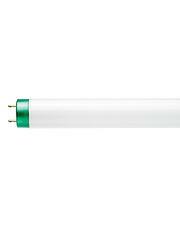 These fixtures typically require linear fluorescent tubes (either T8s or T12s). If you’re replacing light bulbs in the kitchen area, you may need plastic tube guards or plastic LED tubes to stay compliant with food safety rules. 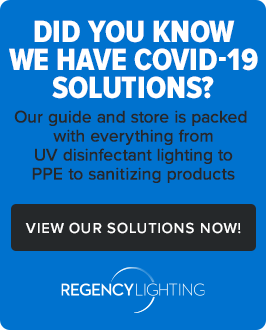 If you're looking for replacement bulbs or a potential LED upgrade for your restaurant lighting, we're here to guide you. 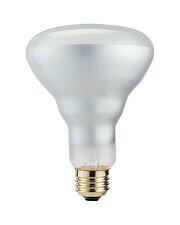 We can help you select the right lighting product for spot replacements or help you plan out your next LED upgrade.